The vacation rental industry has gone through a major overhaul in recent years and there is no longer a need to go through the lengthy reservation process. Despite the success of many start-ups in the recent years, one company stands out from the rest due to the way they revolutionized the market with their game-changing strategies. Airbnb which was started by three guys was originally conceived as a website offering short term living spaces, breakfast and business networking opportunities. Their business is growing at an impressive rate and was recently valued at $31 billion which makes them currently the World’s largest hotel group without owning a single hotel. This well-balanced growth in the market is due to the key business strategies which they implemented over a period of time. 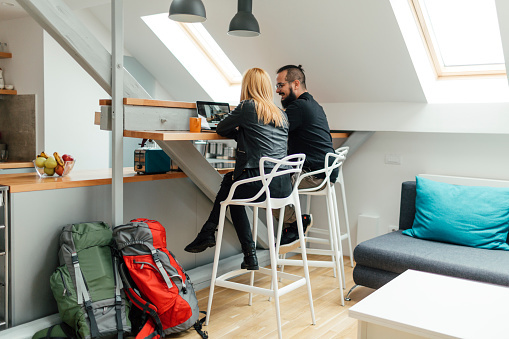 For start-up owners who are looking forward to launching their own version of Vacation rental software or planning to use an Airbnb clone mimicking these strategies and using similar ideas can be a profitable move. What differentiates Airbnb from the rest of the traditional hotel brands is their idea of local authentic experience. Instead of focusing on the major attractions they encouraged users to follow the typical tourist trail. If the hosts help the guests live like a local and help them to explore lesser known secret places Guests feel welcome and at home. This is one of the areas where Airbnb blows away competitors with their expressive content. Visiting the stories section in the website will enable you to get an insight into the world of hosts and guests as they share their stories and experiences. These stories are meant to engage and forge an emotional attachment with the readers. Since their launch in 2008 Airbnb have been refining and fine tuning their results page in order to secure higher engagement levels among users. They constantly renovated their layout to make sure they are emphasizing on the images. In an attempt to maintain consistent high level of images throughout the site Airbnb offers free professional photography services to the hosts. Related, How Buzzing Is Airbnb - Vacation Rental Business? Over the years Airbnb has accomplished more than just an accommodation provider, it now serves as a community of travelers who are willing to share their stories. Airbnb thrives itself on building trust and establishing personal connections with the other users.Their Motto “A Community built on trust” is based on a list of community standards and terms which all members should read and comply. Failure to comply with the standards and conditions will result in the expulsion of the host from Airbnb. Pricing is an effective tool if you get it right.How your price your listing has a big impact on the revenue, the type of guest and the feedback you will receive. A good pricing policy requires continued attention and consideration and can help you attracting the right kind of customer. Analyzing the prices of other listings in your neighborhood will help you find out where you exactly stand among the others. Setting up an Online vacation rental business from scratch is not an easy task in today’s market. Airbnb’s success is due to the fact they went through a lot of strategic decisions and this impacted their business in a good way. In the long run, constant revision of your strategies will help you in stabilizing your business. If you are planning on launching a website similar to Airbnb you can check out Agriya’s Airbnb clone called Burrow which was developed after extensive analysis and market needs. This can help you in kick starting your own Rental business in no time.